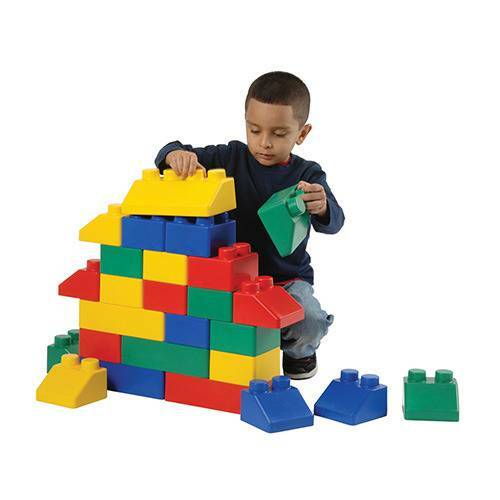 Longest block is 8 3/4" L. x 4 1/2" W. x 3 1/2" H.
For a softer, safer construction, this 26 piece set of flexible, yet firm, polyurethane blocks interlock together. The longest block is 8 3/4" L. x 4 1/2" W. x 3 1/2" H. Ages 6 mos. +.